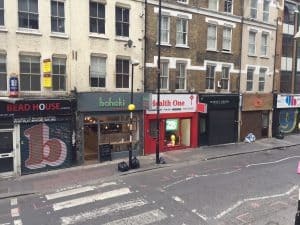 Last month, I wrote about how tentative steps are being taken to establish a Neighbourhood Watch scheme for the Middlesex Street Estate. The idea behind this is to start bringing residents together to address various issues relating to crime, social isolation and antisocial behaviour. I’m delighted to report that since then significant progress has already been made towards achieving this goal. A few weeks ago I attended a workshop in Artizan Street Community Centre that had been arranged to explore what kind of Neighbourhood Watch scheme residents living on the estate might actually want. I was impressed by the good turnout and genuine interest expressed in the project. The City of London Police (who have surprisingly never before been involved in any Neighbourhood Watch schemes) sent along three police officers and the excellent Robin Newman from the Neighbourhood Watch Network also came along, providing us with lots of examples of how different schemes run up and down the country. 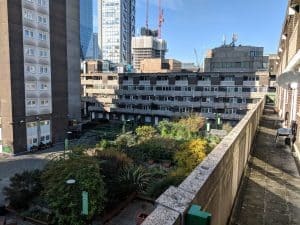 What was clear from the workshop was that local residents have a very clear idea of the current problematic issues on the Middlesex Street Estate. This ranges from complaints about the overt consumption of narcotics by non-residents around the periphery of the estate, sabotage of security doors, trespass on to the estate by those who do not live here, and a recent spate of bicycle thefts. Interesting suggestions were also made about the potential for installing defibrillators in public spaces around the estate that could potentially save the life of someone in those vital minutes after someone sustains a heart attack. It is further worth noting that older people, people with physical or mental health problems, and those who are socially isolated are statistically much more likely to be the victims of crime. At the workshop, Robin also explained how Neighbourhood Watch schemes can be an effective means by which to address scamming activities. Fraudsters often use email and social media to scam people, as well as the more traditional use of mailed literature informing people that they have won fictitious prizes. Often, this is a hidden problem, with the victims failing to report what is happening through a sense of shame and embarrassment at having been conned. Raising awareness about scams within the community and promoting a dialogue about it are a key element in starting to address this scourge. The main idea behind a good Neighbourhood Watch scheme is a very straightforward one. Simply put, the more connected a community is then the stronger and more resilient it becomes, and thus the more effective it will be in reducing crime and antisocial behaviour. Criminals prefer to target communities where households live in isolation from each other and where people don’t talk to one another. Plans for increasing connectivity between residents might include arranging a ‘Getting to Know Your Neighbour’ event, and this is something that our fledgling Neighbourhood Watch scheme is currently exploring. The idea is to reach out to neighbours that you don’t know so well, or perhaps not at all. It’s about becoming more familiar with people you see on the podium, or those neighbours you repeatedly bump into in the lift, but whom you have never actually really spoken to. Decisive steps have already been taken to start getting residents of the Middlesex Street Estate talking to each other more. A Neighbourhood Watch WhatsApp group has been set up, where residents can discuss concerns they have on matters relating to safety, security and quality of life issues. In just a few short weeks of being in operation, the WhatsApp group has already enabled residents to flag up that communal doors to the estate are being deliberately tampered with so that they do not close properly, as well as residents being tailgated on to the estate by people who do not live there. These are things that many people are likely to have noticed on an individual basis, but now there is a dedicated central portal for reporting these issues so that they are recorded and can be appropriately addressed by the City of London Corporation or the City of London Police, as required. This can also feed into, and complement, existing activities such as the regular estate walkabouts involving both residents and local authority officers from the Corporation. The WhatsApp group was also a helpful vehicle for identifying recent concerns about the lifts in Petticoat Tower not working properly, leading to one older resident complaining of feeling “trapped” in their home, as they could not manage the stairs. A few neighbours then arranged to do a quick knock around on the doors of residents who they thought might be affected by the lifts being on the blink to see if they needed anything. These are just some early examples of the small things that we can achieve together when we communicate and connect better as a community. They are also things that can potentially make a significant difference. As the old BT advert in the ’90s stated, “It’s good to talk!” Let’s keep the conversation going as we strive towards building a stronger, friendlier and more resilient community on the Middlesex Street Estate. If you live on the Middlesex Street Estate and want to join the WhatsApp group or would like more information about the new Neighbourhood Watch scheme or to become involved then you can get in touch by emailing MSEneighbourhoodwatch@gmail.com.